So, a great couple of weeks in California including a day out at the fantastic Folsom Street Fair with the very lovely Korbz and his Daddy. Met up with several great people from online (see, who says Twitter, FaceBook and Recon are just for online relationships) and did some touristy stuff too. It was crazy busy (nearly 500k people apparently) and very hot, especially in rubber :p Bit disappointed that “lewd behaviour” was banned this year but it was still kinda fun to play a bit in scene outside with lots of people watching. Did get a few photos and plenty of people took them of us, so if you spot any, send ’em over! 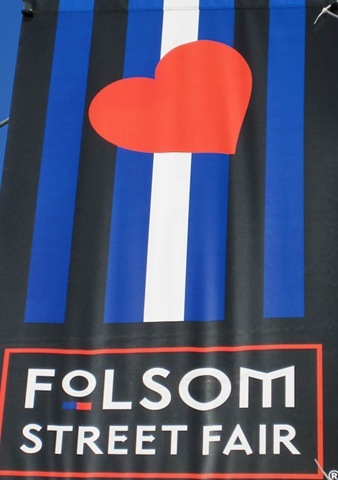 Yes, Folsom Europe is a lot of fun, you guys should really come. I had a good time at San Fran. and it was great to see you both. Will send you pics soon.